Welcome to Steelbuildings.co.uk. 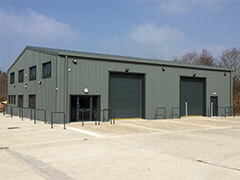 We design & build quality steel framed buildings. All buildings are built to your specifications and requirements. Industrial, Domestic, agricultural and energy industries. 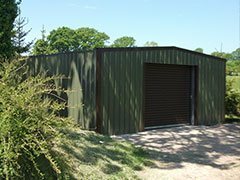 We use high quality prefabricated cold rolled steel building kits based in the UK. 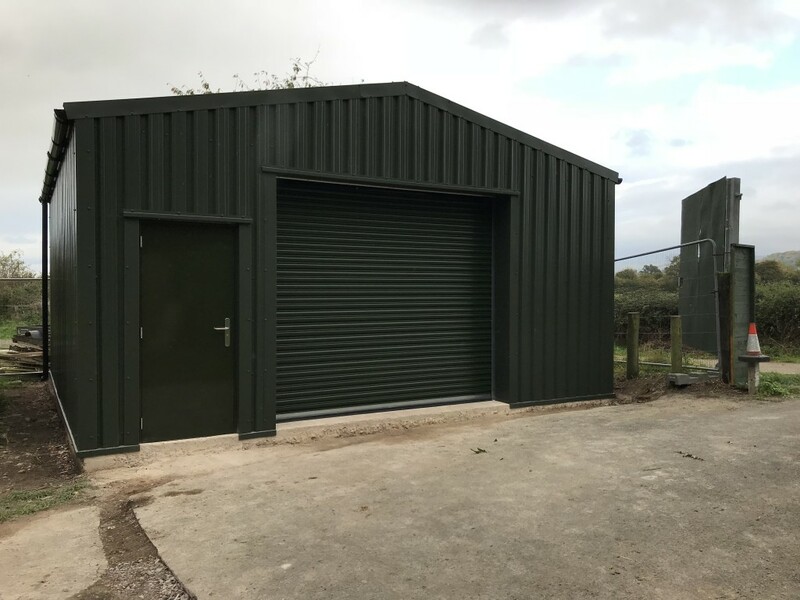 With advancements in steel buildings and related materials including laser cutting technology here at steel buildings we provide bespoke solutions for agricultural, commercial and industrial building uses. 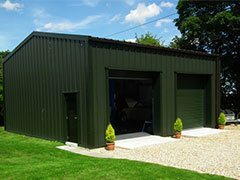 We offer a complete service from design, build and installing steel buildings for a wide range of uses including Aircraft hangars, Steel Workshops, Steel garages, boat houses, Biomass Boiler houses and general storage Buildings. Let us take away the pain and the hassle of constructing your new building with our expert and professional advice. We’ve been in the business for many years and work with a large client base that return to us again and again for their building needs. Why use us over any other steel building competitor? Our in house Steel Building design programs, allow quick and effective design solutions. Providing fast turnaround Steel Building prices and cost options. The Steel Building design is based on Industrial Standards BS5950 and BS6399, or equivalent Euro-code if required. Not to be confused with the agricultural standard BS5502. “Just wanted to pass on my thanks to you and the rest of the team. I’ve just fininshed the workshop – despite the weather – and have to say how delighted I am with the quality and overall manner in which Omega has delivered the product, the simple build process and the after sales support. I originally contacted four local steel erection companies plus yourselves, really just as a price benchmark as I was concerned about how far away you were. Not one of the local guys got back to me and your efficent quote process made it an easy choice not to chase up anyone else. Steel Buildings takes great care in ensuring we have the correct supply chain partners. The supply chain partners, firstly are assessed. Then we continually monitor performance. Allowing Steel Buildings to continue to be the best option, when it comes to Cold Rolled Building Supply. We appreciate and prompt customer feedback, allowing Steel Buildings to provide what our customers need and make changes or improvements as and when required. 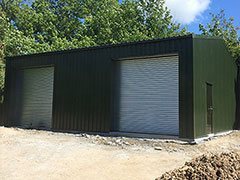 Steel Buildings provide our customers with, what we believe is a useful, Steel Building Designer that the client can use to build their own specification. If you are enquiring outside working hours, or would rather not speak to anybody at the early stages. This can be done by clicking “get a quote now” on our pages. Should our clients wish to discuss their requirements. We are on hand to help in anyway we can to provide free advice and no obligation quotations. 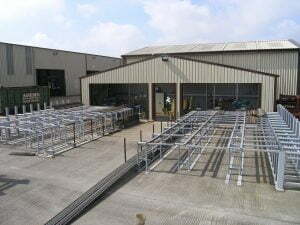 At Steel Buildings we aim to provide a fast and efficient service to all our customers. Keeping our customers informed during the process of design, final detailing and manufacture. 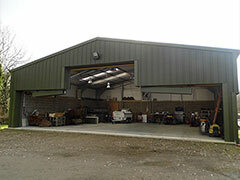 Steel Buildings can have Building Kits designed, detailed and manufactured ready for dispatch in 3-4 working weeks. Sometimes 2 working weeks. Installation times can vary depending on size, complexity and access.